We're a home-based bakery bringing home-spun, artisan pies to your table. We believe in the tradition and irreplaceability of face-to-face community, and we believe that food is a powerful way to bring people together - particularly pie. Serving the greater Sacramento region and Siskiyou County, we can be found at various local events, such as festivals and farmer's markets. We cater small and large events, as well as provide individual orders. Delivery is offered locally to certain zip codes - message us for details! 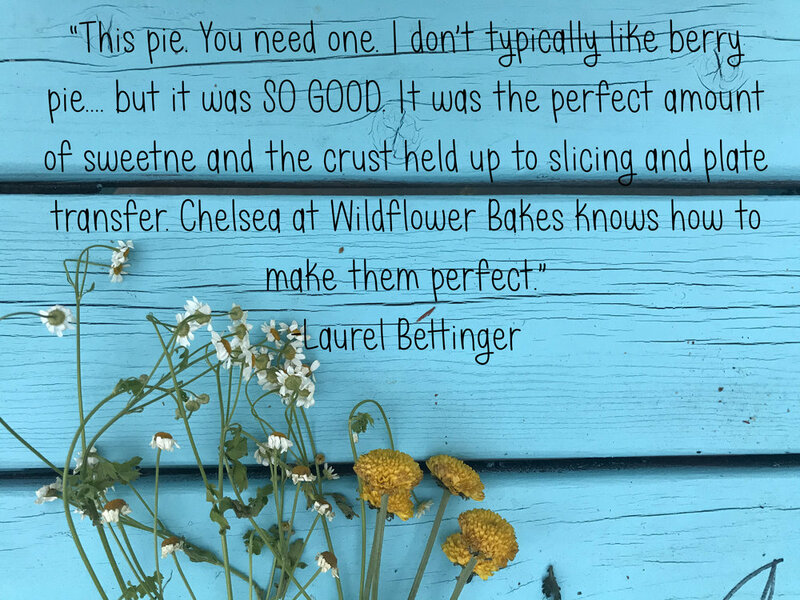 The quality of each pie we make is important to us. And it's equally important to us that our interactions with you are infused with the same kind of quality--inviting, warm, and personal. Just like home. 2 local bakers show us how they are rocking the pie world. 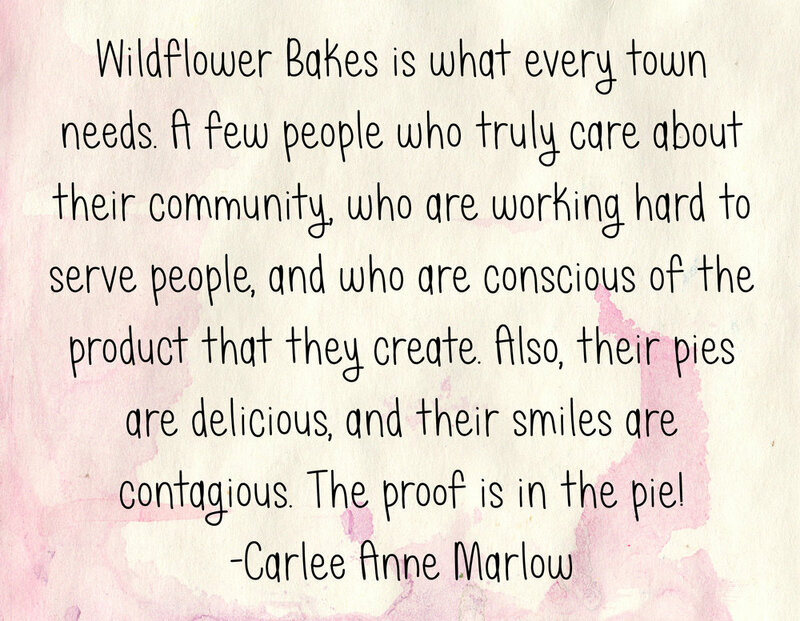 From caramel apple and triple berry to pie pops they give us a taste of Wildflower Bakes! Your feedback and support mean the world to us. Here's just a few of things that ya'll have had to say.